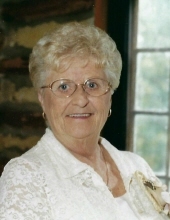 TIMBERLAKE: Velma Stevens Cox, 82, passed away on Tuesday, February 5, 2019 at her home in Timberlake. She was born in Durham the daughter of the late Sidney Wallace Stevens and Mary Lucille Wiggins Stevens. Mrs. Cox retired as a Payroll Manager from Liggett & Myers Tobacco Company. Mrs. Cox is survived by her husband, William Kenneth Cox; daughters, Bonnie Taylor Lee and husband Larry, Tammy Taylor Williams; grandchildren, Whitney Lee Granata and husband Casey, Stephanie Elizabeth Lee, Melissa Dawn Eubanks; step-daughters, Kathryn Cox McCullen and husband Steven, Margaret Jennings Cox; and step-grandchildren, Matthew McCullen, Leah McCullen, Andrew McCullen, Maggie Gaddis, Sacha Gaddis. The family will receive friends from 6 to 8 p.m. on Friday, February 8th at Clements Funeral Home in Durham. A funeral service will be held at 11 a.m. on Saturday, February 9th at Clements Funeral Chapel. Burial will follow the service in Oak Grove Memorial Gardens. In lieu of flowers, the family request that memorial donations be made to Antioch Baptist Church: 677 Antioch Church Rd, Timberlake, NC 27583; or to American Cancer Society: Memo: Relay for Life, P.O. Box 22478, Oklahoma City, OK 73123. To send flowers or a remembrance gift to the family of Velma Stevens Cox, please visit our Tribute Store. "Email Address" would like to share the life celebration of Velma Stevens Cox. Click on the "link" to go to share a favorite memory or leave a condolence message for the family.